Are you looking to enhance your pregnancy and birth experience? Our prenatal course can help you. Armed with knowledge and improved confidence you can take control of your pregnancy and birth experience. This weekend course is focused on prenatal health, labour preparation, birth choices, comfort measures, positioning, breath work, breastfeeding, newborn care and more! Dr. Tanya Chambers has been offering Soul to Soul to expectant couples since 2004. She has completed her fellowship with the International Chiropractic Pediatric Association, doula training with CAPPA, and breastfeeding course work with Dr. Jack Newman. She continually adds to her clinical skills and knowledge by attending various ongoing courses and seminars. 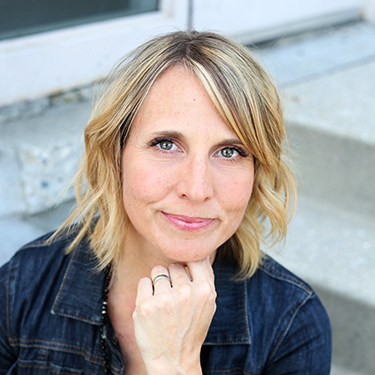 Dr. Tanya is passionate about guiding women and their partners through this miraculous phase of life, and strives to help empower women to make intuitive and educated choices about their labour, delivery, and parenting choices. Dr. Tanya has a large focus on the pregnant and pediatric populations in her practice, helping women and their babies achieve optimal levels of wellness. Couples are welcome at any stage in their pregnancy. However, space is limited, so contact our Stratford chiropractic office to reserve your spot! We offer breastfeeding support services. Dr Tanya teaches several breastfeeding workshops throughout the year. Dr. Tanya is a passionate advocate of breastfeeding. Currently, her breastfeeding clinic is by appointment only, on Fridays from 1:30-2:30. Please call to book an appointment if you require assistance. She has completed her Level 1 Training with the WHO. She has also completed training with the ICPA, and sits on the Huron Perth Reproductive Health and Breastfeeding Committee, which strives to improve breastfeeding support in Huron and Perth counties. She leads a mom-to-mom support group called Breastfeeding Buddies which meets the first Thursday of every month at the Early On centre in Stratford. Please follow Breastfeeding Buddies on Facebook. We will be happy to help you! Contact our Stratford chiropractic office today!